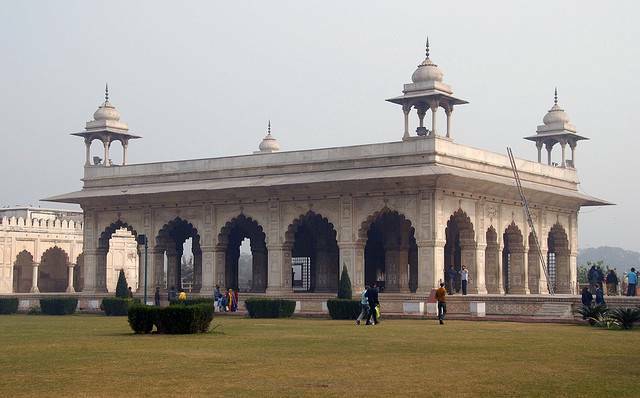 Rang Mahal literally meaning ‘Palace of Color’, is situated inside Red Fort. Built by Mughal Emperor Shah Jahan, Rang Mahal served as regal harem where the basements were used by women in hot summer days. The interior of the palace is intricately carved and one can see small mirrors pasted in the ceilings of few rooms. And these rooms are termed as Shish Mahal. Along the center of Rang Mahal, runs the canal of eternal water, termed as Stream of Paradise.